I received a call yesterday from an applicant who will be interviewing in a few weeks, wondering whether their pre-assigned interview date reflected their competitiveness. In addition, the topic was also brought up in conversation during our first interview day last week. I always find this question/topic quite puzzling as an applicant's assigned interview date is totally random, with the exception of, perhaps, where they currently reside. I thought I pretty much put this concern to rest several years ago when I explained our assignment date process in a blog post -- but maybe it wasn't enough for paranoid interviewees? 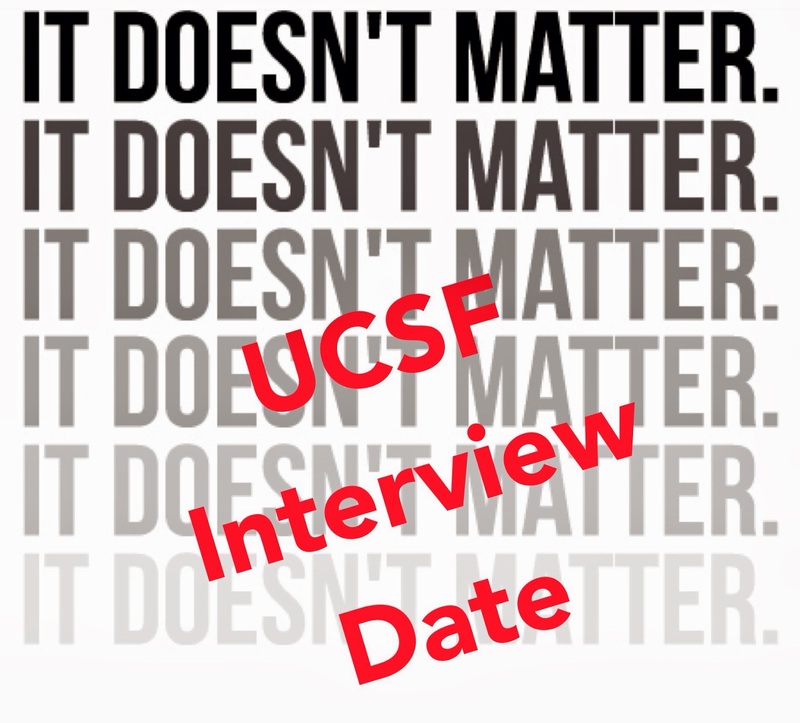 *Note: Not all interview dates have the same number of candidates being interviewed. Some days have as many as 72 and as few as 48 candidates.